Chick peas fuse together marvelously with vegetables like beets,roasted peppers or artichokes and greens like spinach,mint,cilantro to give a vibrant variation to traditional hummus.I could eat hummus everyday without any worry for its bursting nutritive value,Chick peas are low in Saturated Fat, and very low in Cholesterol and Sodium(in home made chick peas). It is also a good source of Dietary Fiber, Protein and Copper, and a very good source of Folate and Manganese. I'm sending the healthy pink hummus recipe to Ley's "Baking for breast cancer awareness" , a breast cancer awareness event. Healthy diet and early detection are key in prevention of any cancer.Beets are loaded with vitamins A, B1, B2, B6 and C. The beet greens have a higher content of iron compared to spinach. They are also an excellent source of calcium, magnesium, copper, phosphorus, sodium and iron.It is considered a blood cleanser ,that helps the body to get rid of many unwanted ailments. Raw beets are considered more effective in fighting cancer than cooked.Read everything about Beets nutrition here.Read the useful guide to prevention of cancers.Learn the important breast cancer facts here. Think no more, buy some beets,soak your chick peas tonight and make a fresh bowl of this tasty creamy healthy delight . 1 small beet,peeled and cooked until tender with a cup of water. Finely blend the beets in processor or blender,add just few drop of water if needed. Then mix in the cooked chick peas and roasted garlic. Blend again until the mixture is of smooth paste consistency,for a thick creamy hummus add just few drops of water if needed. Stir in the oil ,salt(for home made chick peas,no more salt needed for canned chick peas) and lime juice.Blend again till creamy. Transfer in a serving plate or bowl,garnish with edible rose(unbelievably easy to make,watch Vah chef in this video )and mint leaves. Hummus is appetizing with any whole grain chips,I served them with Home made pita chips. Stores in refrigerator for a week,enjoy it on toast or sandwiches or Kababs. On request from my dear buddy Zee,here is the tahini recipe. Toast the seeds on medium heat on stove top or in oven at 350F,while stirring occasionally ,about 10 minutes. Grind the seeds in a processor or a coffee grinder until finely powdered.Stir in rest og the ingredients and blend until smooth and creamy.Stores in refrigerator ,drizzle on sandwiches or Kababs or add in hummus for a creamy texture and lot more flavor. Another tasty beet recipe ,Beet Cheese Treats,I'm sending this tasty treat to JFI:Festive treats hosted this month by Srivalli. yasmeen,this is simply enthusiastic food to know.bright and friendly.lemme check. Looks simply delicious..I make the ordianry hummus..Will try it with beets next time.. I love the colour, so pretty. We like hummus in our family too. Great for my veggie daughter. It is interesting to see a tahini recipe, thank you. What an exotic color, beautiful! Colourful ,Y.But tell me, which sesame seed to use for sauce -black or white.I too made hummus with roasted garlic and sundried tomato,but used store bought tahini paste.I have black ones but I see most with white sesame.can I use black? this is totally new for me.. very creative.. Looks absolutely delicious.. Thank you'll for checking out the recipe. This is an awesome hummus recipe! You made something so healthy, even healthier! It's a great color, and I love the tomato rose! Wishing you and your family a happy diwali Yasmeen! This is a new combo to me.Cant get any healthier than this. Hi This is Noor from Ya Salam Cooking. I wanted to invite you to join: http://themiddleeasterncook.blogspot.com/2008/09/whats-your-favorite-cookie-recipe.html I hope that you can submit a recipe bc I have a great idea planned when I get them all together. That is so pretty! I just love it. I'm a huge hummus fan so I will have to try your pretty pink beet version. Thank you so much for participating in this event! Your hummus is absolutely gorgeous, and I love how healthy it is! Thank you! 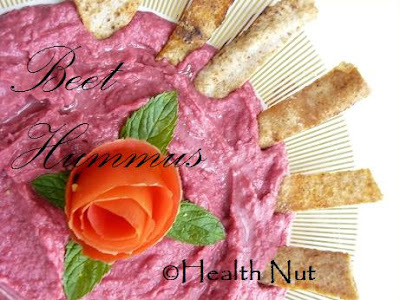 Beet Hummus look colorful, healthy and gr8. I love hummus and this looks so pretty. colorful and delicious hummus. I never heard this one. This is new to me. 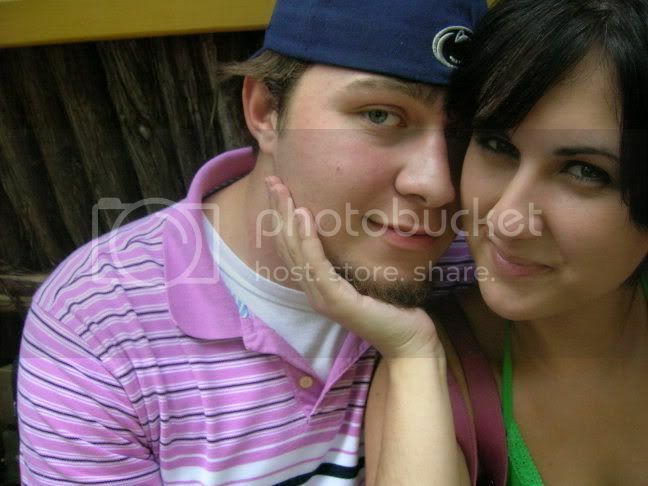 They look gorgeous. Really tempting! You did a great job here! YOoo! adding beet to humus uummmm..I can imagine the taste, very innovative..
Looks simply delicious.this is totally new for me.. very creative.